This represents the total talent market for any given job. 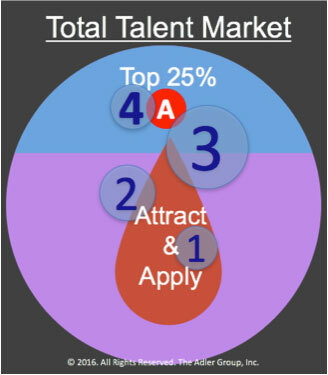 The “A” represents a small group qualified prospects, mostly passive — about 25% of your prospect talent pool. Most will call you back right away because they were referred. Most of the rest will call you back because they see your opening as a possible career move. These are the prospects I call “Recruiter’s Gold.” And, it takes some skill to find these golden nuggets. Before we dive into how to find them, let’s consider the other groups of talent. Group 1 represents a subset of applicants who possess all of the criteria on the job description and have been filtered on compensation, location, and title. Rarely will you find A-level talent responding to a job posting for a critical job. Group 2 represents candidates who have been direct sourced (searching through resume databases like LinkedIn and contacted via email) using Boolean in combination with LinkedIn Recruiter’s filtering system. The reason this group isn’t comprised of more top quartile candidates is that they have been selected based largely on their level of skills and experiences. Given this as the criteria, few top people respond to the messaging since they’re not interested in considering jobs represent lateral transfers. Group 3 represents a highly talented group of direct sourced candidates. The reason there are more top-tier prospects in this pool is that the search criteria used to find them is based on performance qualifications and achievement terms, not skills and experiences. As important, when the messaging emphasizes career growth and an opportunity to discuss the opportunity rather than apply directly, response rates are far higher. 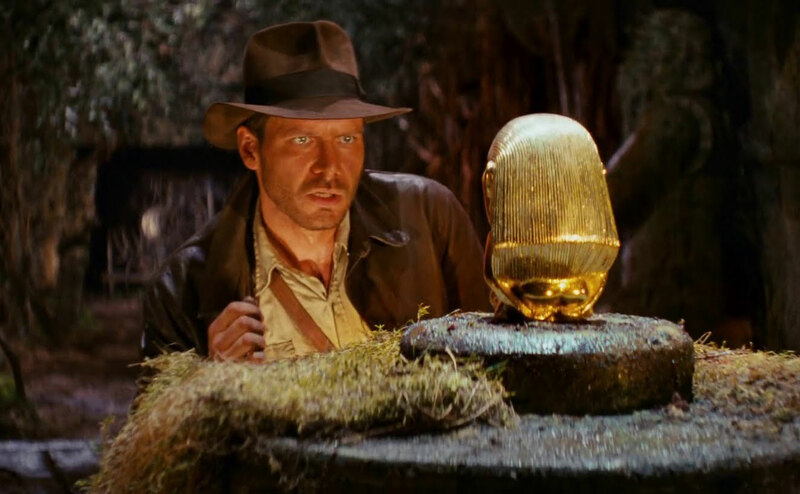 Given the above treasure hunting guidelines, I suggest recruiters implement a 40-40-20 sourcing plan. Basically, this suggests spending 40% of your time networking to get names of gold tier candidates, spending another 40% of your time direct sourcing performance and achievement qualified candidates and spending the remaining 20% writing job postings and recruiting messages that will appeal to gold tier candidates. The reason the postings are important is that you’ll drive all of your direct sourced candidates to these jobs so they need to be compelling. You must get the hiring manager to shift from skills and experience qualification criteria to one based on performance, achievement, and potential. Performance qualified means they can do the work. The big point of this is that if they can do the work they must have all of the skills necessary or learn them quickly, but often this is a different mix than what’s on the job description. Once on the phone, recruiters must convince more than 50% of Group 3 and Group 4 people who respond that the job represents a career move. If the job turns out not to be a good fit, the recruiter needs to obtain at least one referral of another gold tier prospect.